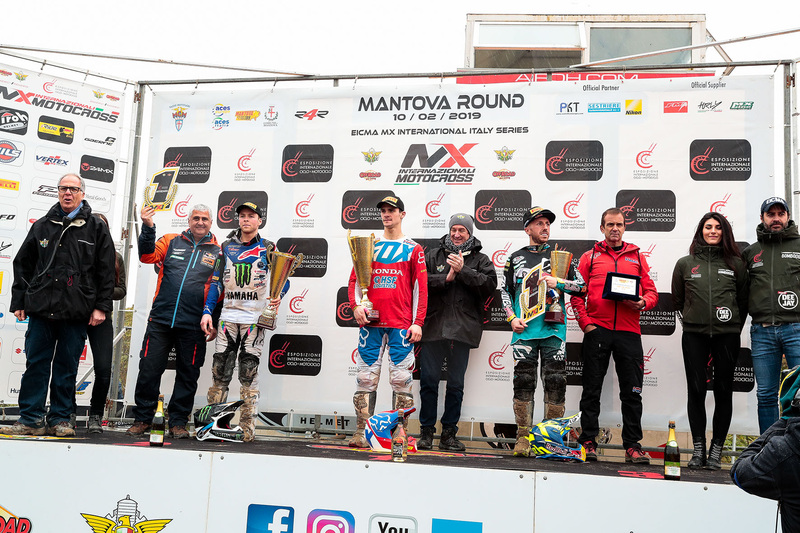 The Internazionali d’Italia MX EICMA Series 2019 ended today in Mantova. Great success also for the last of the three rounds and record of spectators for the live streaming that recorded more than 200.000 contacts live. 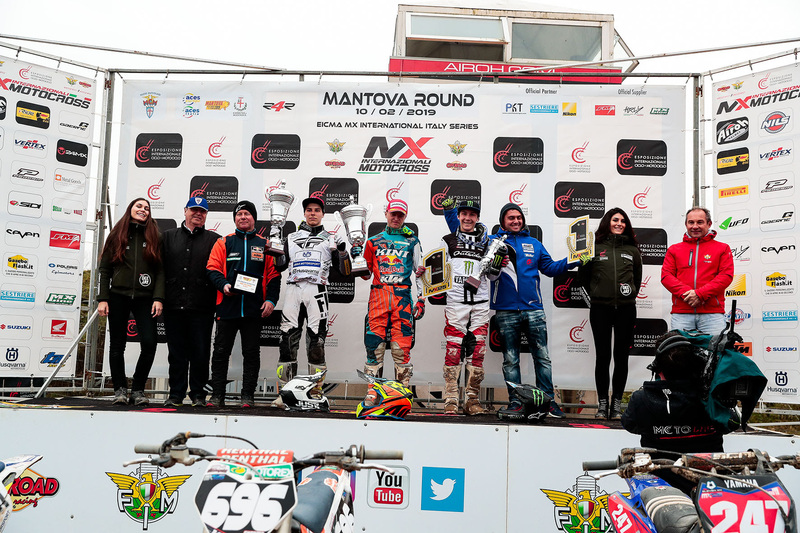 For the third week in a row the Internazionali d’Italia MX video reached the top of the trends of YouTube!! Tony Cairoli (KTM Red Bull Factory Racing Team) is the star of the Internazionali d’Italia EICMA Series; the nine times World Champion confirmed himself as the champion in both classes, in the MX1, where he got the better of a wild Tim Gajser (Honda HRC) and Romain Febvre (Monster Energy Yamaha Factory) and in the Supercampione, a class that he dominated, putting together three victories, winning with 240 points on Gajser (200) and his team mate Jorge Prado (KTM Red Bull Factory Racing Team), third with 160 points riding the 250 four stroke. 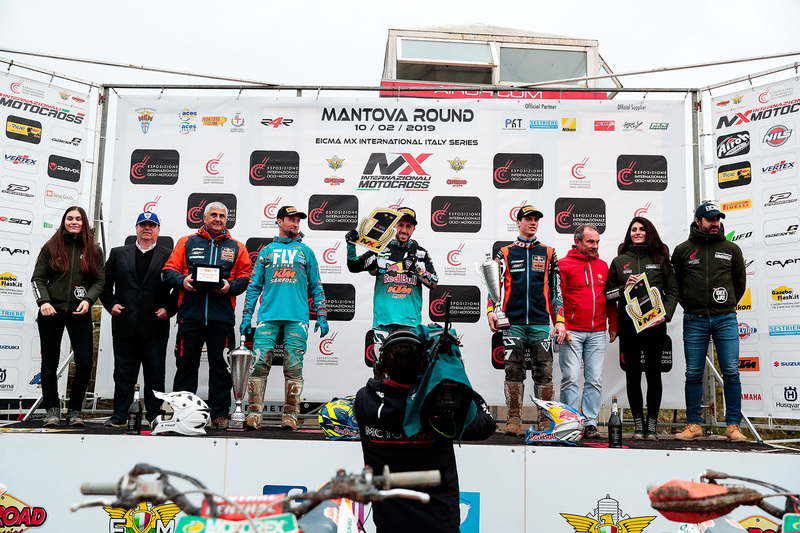 In the MX1 race it was up to the factory Honda rider to climb on the top step of the podium. The Slovenian, after passing the Swiss Aranud Tonus (Monster Energy Wilvo MXGP), winner of the EICMA hole-shot, dominated the race of the 450, keeping Febvre’s attacks at bay, with the french second after the 15 laps of the race. 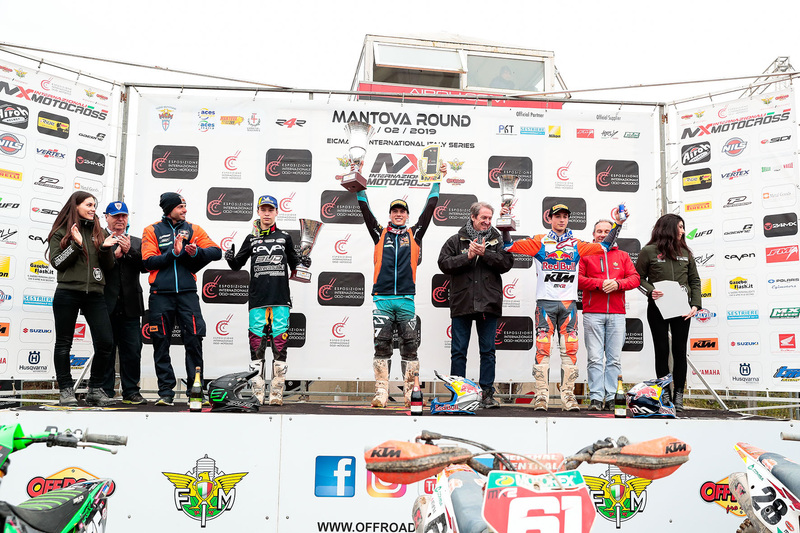 Tony Cairoli, author of the 24MX pole position, has instead started very late, but he still came third at the finish line after a great comeback. Cairoli thus won the category title with 320 points on Romain Febvre, which in the three races scored 300 points and on Gajser, third in the final standings with 280 points.